Is it a Slough? 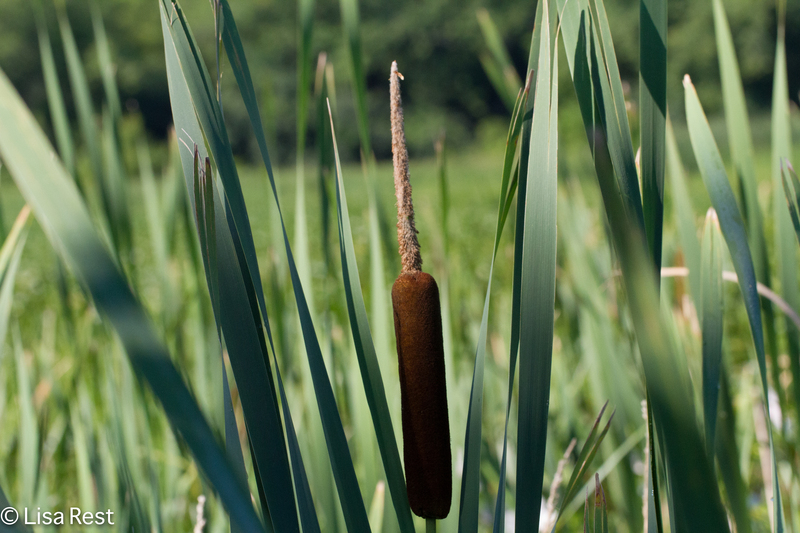 Is it a Marsh? It’s McGinnis! 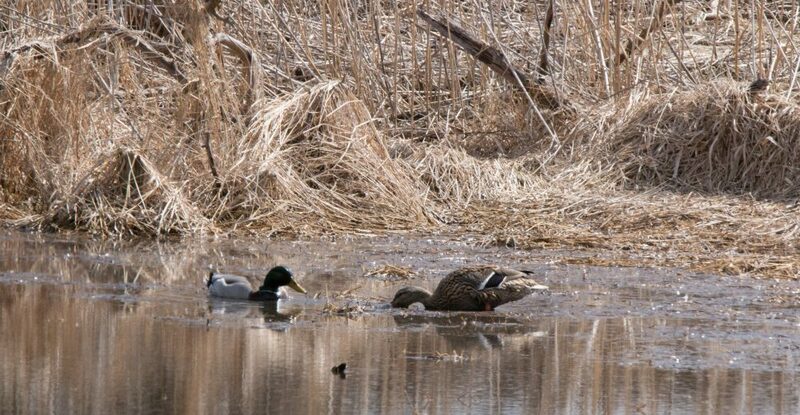 After two weekends of extended field trips, it was good to kick back and save Sunday for a less brutally early rise to visit McGinnis Slough and the Chicago Portage and see how summer is going in my two most frequently visited locations. I originally intended to combine both in one post but it’s more than I can handle, so this is McGinnis and with luck the Portage post will follow tomorrow. 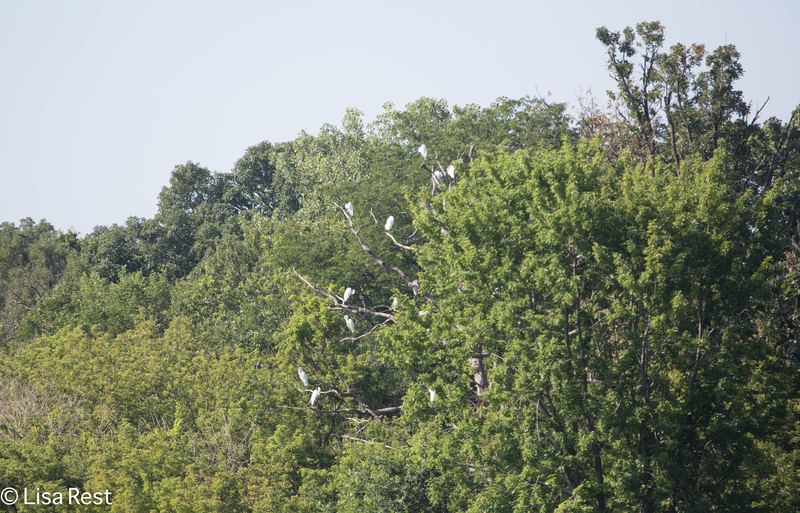 I can always count on seeing Great Egrets at McGinnis this time of year although depending on conditions, I never know quite where. Sometimes several trees are occupied like the one below, but this visit yielded only the one populated tree. In spite of all the rain we had a couple weeks ago, we have not had enough to keep up with the heat, leaving the water levels nearly nonexistent in both places. 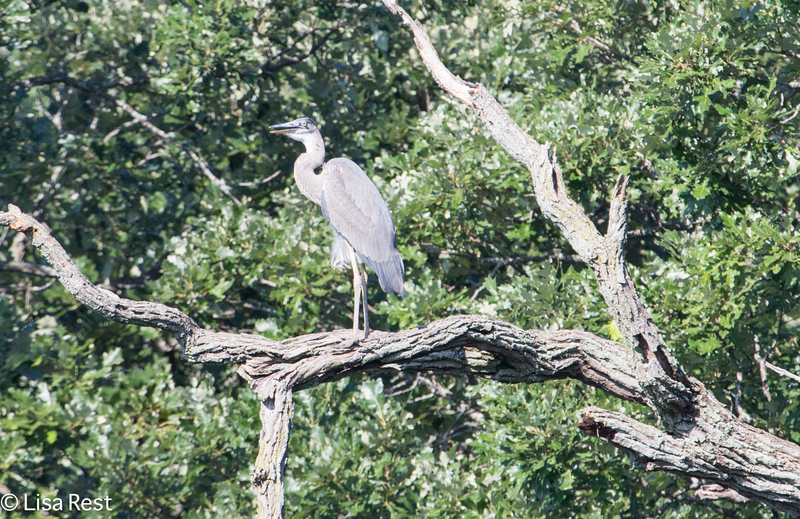 The Great Blue Heron below appeared a bit disheveled sitting on a limb that stretched out above an area that nomally has more water than mud. McGinnis offered more birding by ear than sightings. 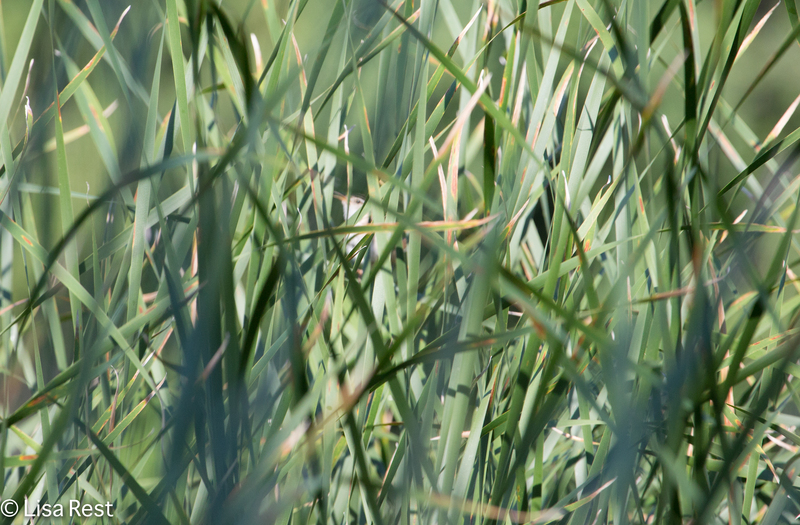 Particularly frustrating was to hear Marsh Wrens close in the reeds but not see them. One did finally move so I could catch a glimpse but there were no photo opportunities. In spite of this I did record a song and have included a photo that depicts what I did not see. One House Wren was much easier to see, although I was a bit surprised by its presence. Perhaps the best song of the day was the Song Sparrow I never saw. 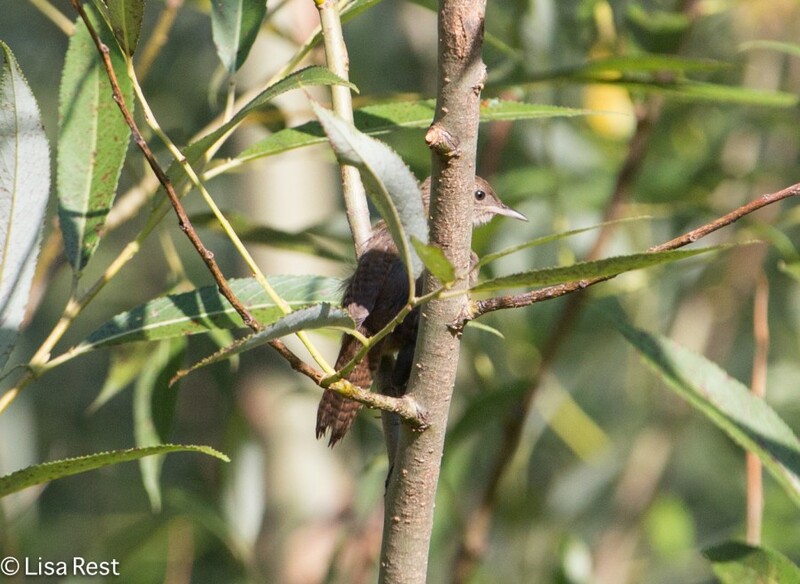 I did get a picture of a juvenile at McGinnis not far from the House Wren. 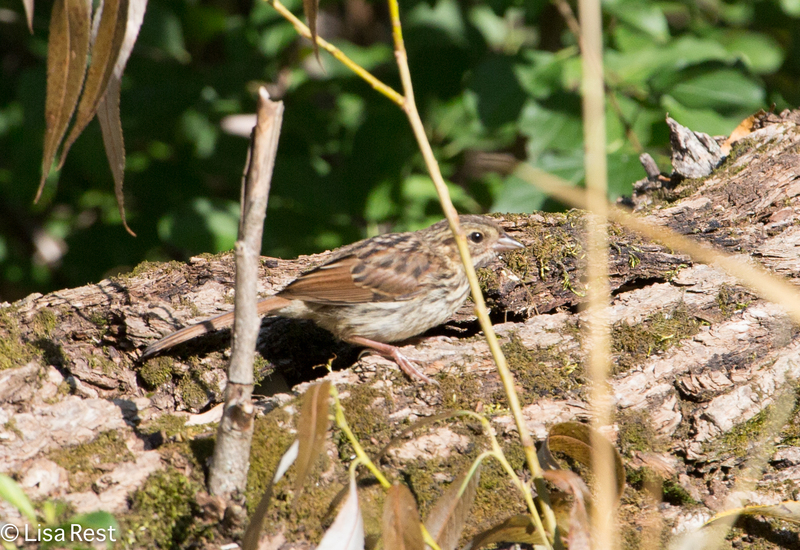 And a recording of the Song Sparrow, even if it’s not the one in the picture. 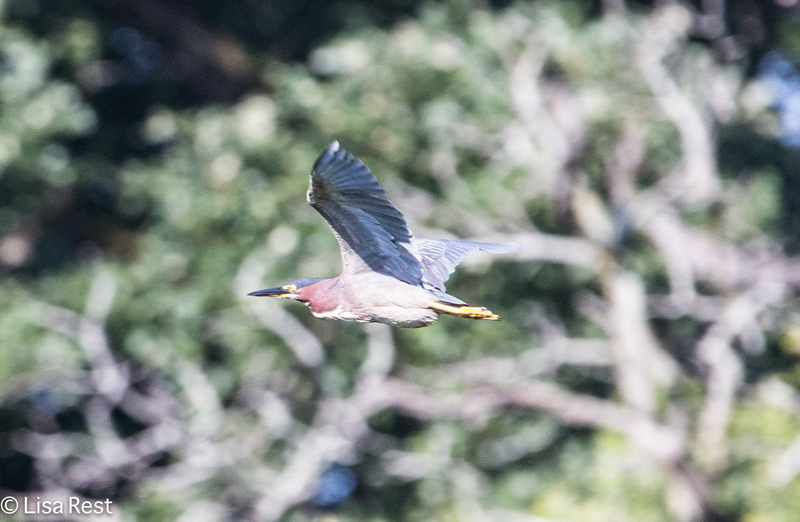 I have been fortunate to see many Green Herons this summer. I never tire of them. I’ve concluded that for this summer, McGinnis is a marsh. Cat tails and tall reeds block a view of what must be mud flats, so I have no shorebirds to report. But the dragonflies are having a good time. 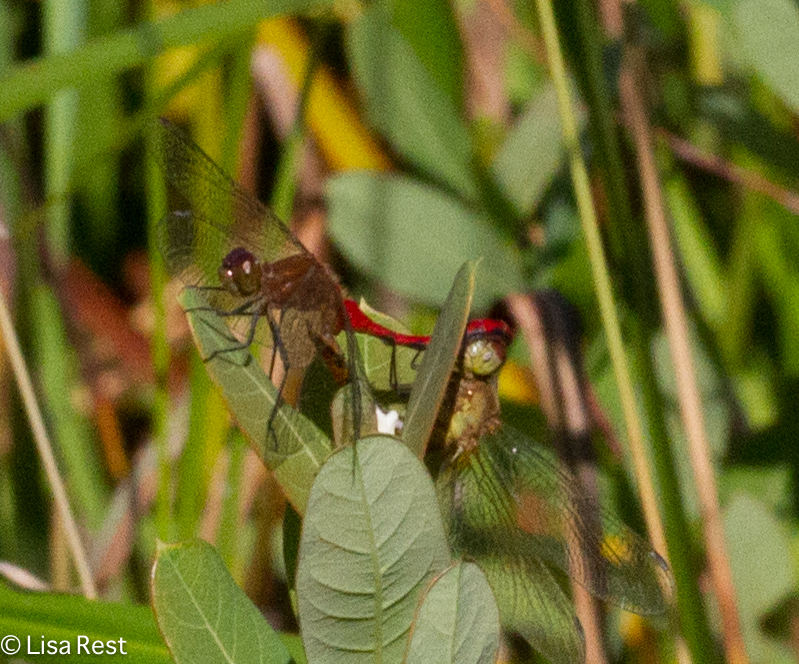 This looks like a pair of Ruby Meadowhawks to Linda Padera. 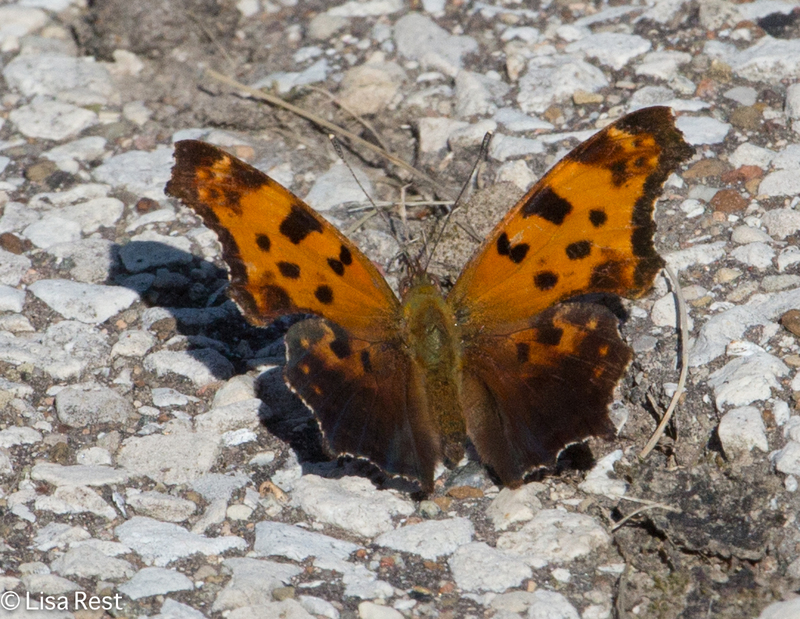 There were not many butterflies, but this Eastern Comma caught my eye right out of the parking lot. I’ll be back with a word or two from the Chicago Portage. 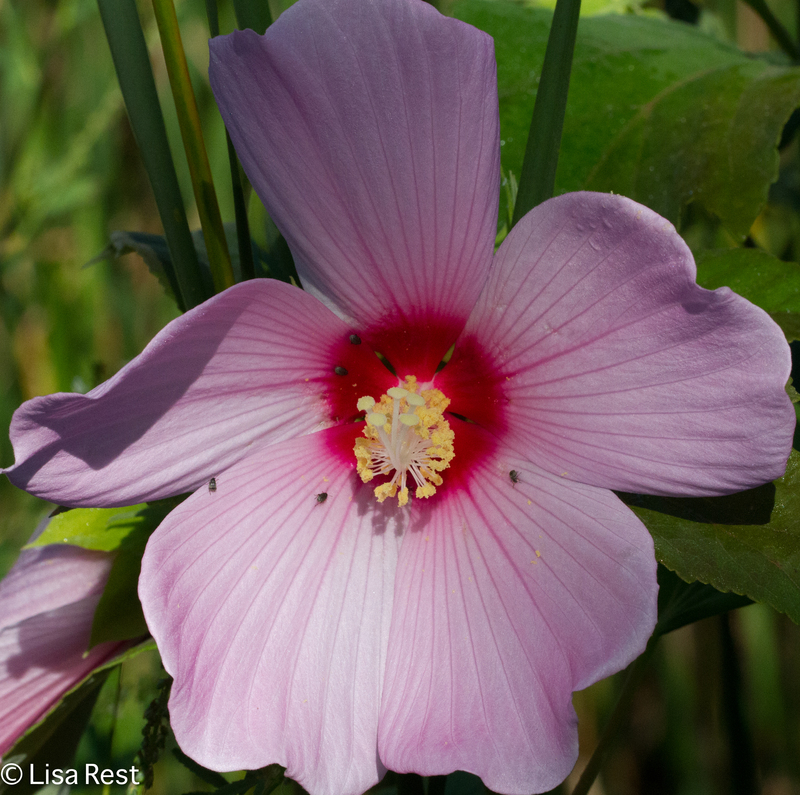 This entry was posted in bird song, birds, photography and tagged butterflies, dragonflies, Eastern Comma, Great Blue Heron, Great Egret, Green Heron, House Wren, marsh, Marsh Wren, Marsh Wren song, McGinnis Slough, Ruby Meadowhawks, Song Sparrow by Lisa Rest. Bookmark the permalink. It is hard to get bored with herons, I agree.